Aluminium Oxide (Alumina) is the most widely used ceramic material with near limitless manufacturing capabilities. They are grouped together based on purity levels, as the purity of Alumina’s increases wear and corrosion resistance also increases. LSP Industrial Ceramics stocks more alumina ceramic tubes than any other supplier. 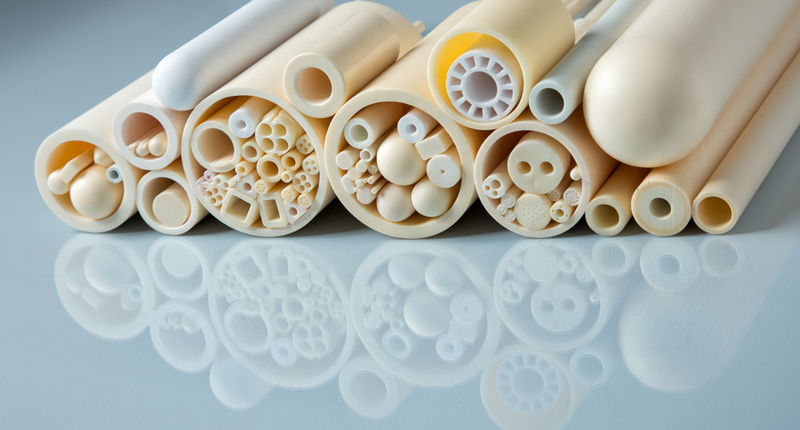 Our vast, readily-available inventory allows us to supply our customer’s ceramic tube needs immediately, even for hard-to-find or specialty products. Alumina’s are used in a variety of general-purpose applications, and their grade is chosen based on the application environment. Higher purity Alumina’s can be formulated for more demanding applications. Typical Applications Include: Wear resistant components, High pressure nozzles, Thermocouple tubes, Electrical Insulators, Corrosive labware, Furnace fixtures, Ballistic armor, Thread guides, Laser Tubes, and Pump seals.